I know how you guys love peeling paint and rust! This week's pictures come to us from Keith. This is a sad, sad case. 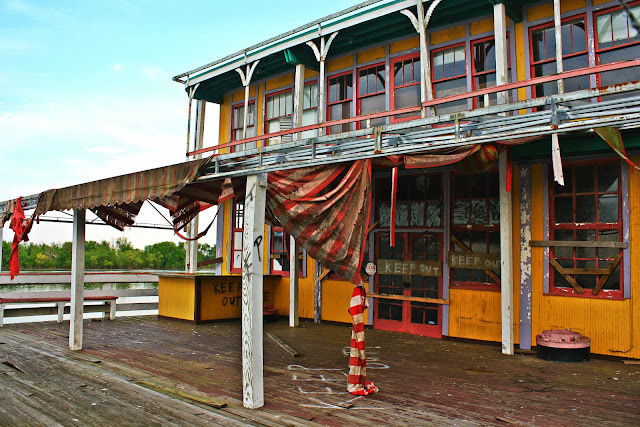 You wouldn't know it from these pictures, but the Goldenrod Showboat is actually a US National Landmark. It was built in 1909, and was the last showboat to work the Mississippi River. 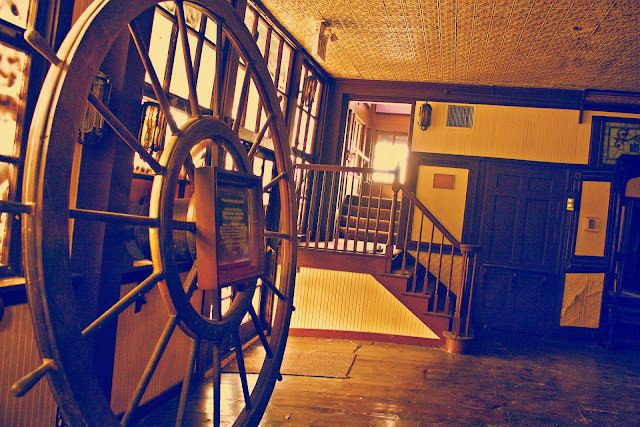 In the 1960s, after the Goldenrod had been partially sunk and salvaged twice and endured a catastrophic fire, she was restored to her original glory in a $300,000 renovation and became a National Historic Landmark in 1967. Through the 1970s and 1980s she was moored on the St Louis riverfront for shows and hosted the annual National Ragtime festival. The City of St Charles bought the Goldenrod in 1989 and spent almost $4 million on her in the twelve years she operated as a dinner theater. After suffering some expensive damage in the early aughts. 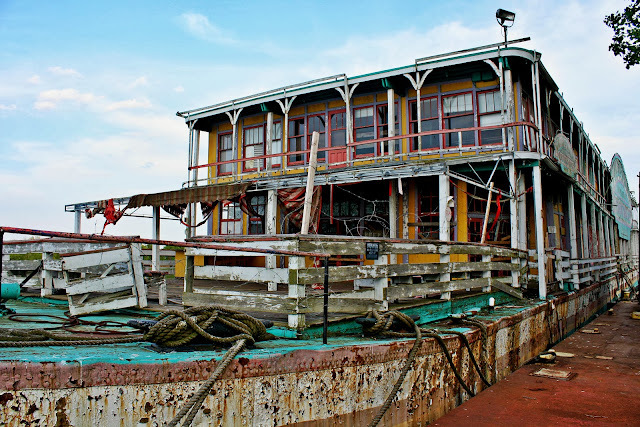 St Charles first tried to find a buyer and then ended up giving the boat away. 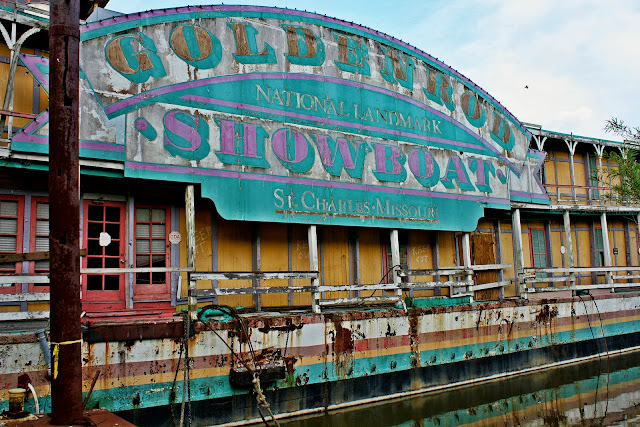 Since The City of St Charles gave the Goldenrod away in 2002ish, the boat has been moved several times and has had several owners. Details for this post came from Wikipedia, where you can read more about where it is now. Keith did heed the signs, but got this picture through a hole. 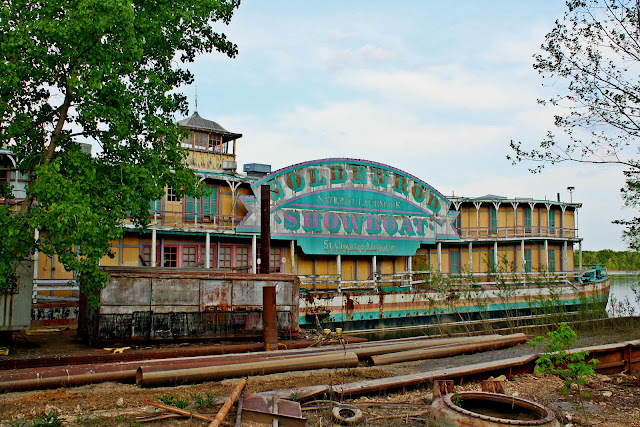 Do you remember the Goldenrod Showboat? Would you like to see it restored? The Historic Riverboat Preservation Project is currently working toward this goal!